If you’ve ever been jealous of your husband’s man cave, you’re in luck. Now you can have your very own she shed. She sheds are the perfect place for women to shut out the world and center themselves. Like man caves, she sheds can be anything you want it to be. 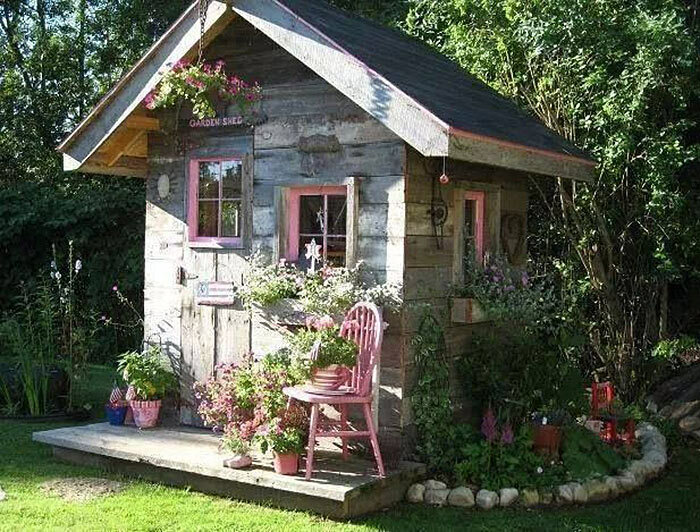 If you want a space to put all your frilly, pink furniture, put it in your she shed. If your house is bright and fun but you want a darker, more artistic spot to unleash your creativity, build a she shed. Whatever you need a separate space for, a she shed can provide it. If you grew up with Barbies and dollhouses, this she shed is for you. With its pink and white exterior, this dollhouse-inspired she shed is classic, girly, and wonderful. The cutest part is the heart-shaped window on the front of roof. You’ll love having tea parties in this she shed with your best girlfriends as you laugh and remember the joys of being a kid. 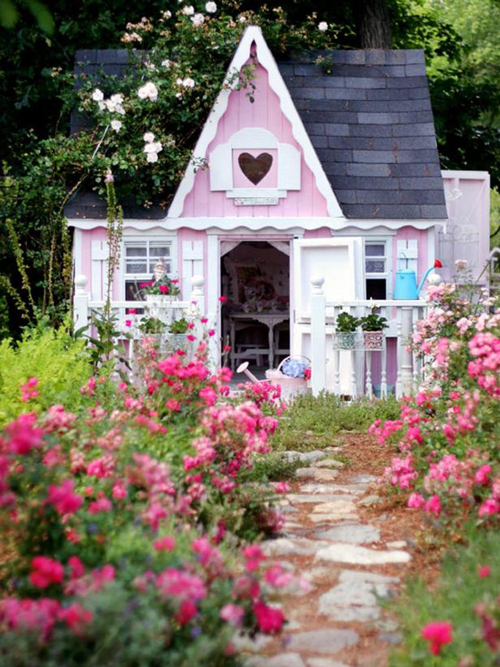 How can you not giggle like a little girl in this whimsical, cute she shed? At the end of the day, your handsome prince can rescue you, walk you across your garden, and you’ll live happily ever after. Yes, you can have a she shed even if you have a tiny backyard. This tiny she shed is perfect for small yards. If you love tiny, cute things, you'll love this she shed, especially if you've ever wanted to dip your toes in the tiny houses movement. Decorate this simple she shed anyway you want to to match your style. You’ll feel like you’re on vacation in the mountains in this cozy cabin-like she shed. If traditional sheds don’t light your fire, try this unique and quirky industrial she shed. 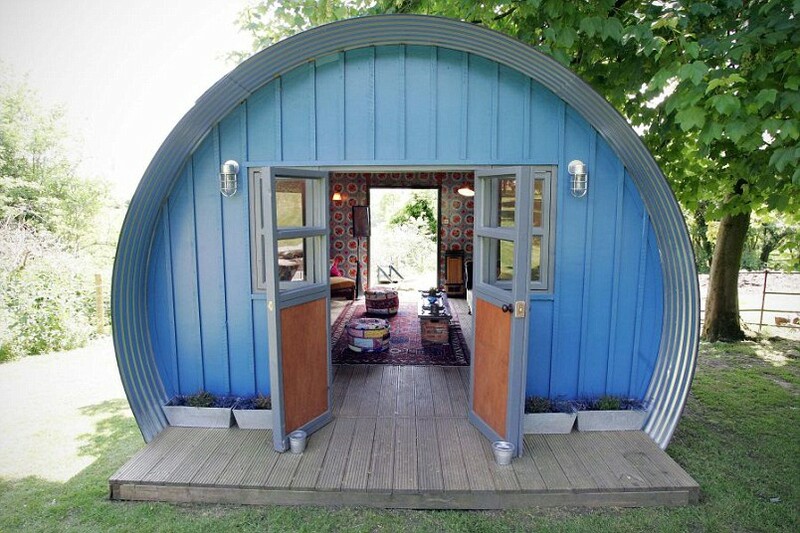 With its round, metal frame and bright blue exterior, this she shed is perfect if you want a different type of she shed. On the inside, this she shed would be perfect for an artist’s studio or craft studio because of all the natural light it gets. This she shed is perfect for the woman that wants to escape into nature for a few hours and stay hidden from the stresses of the world. 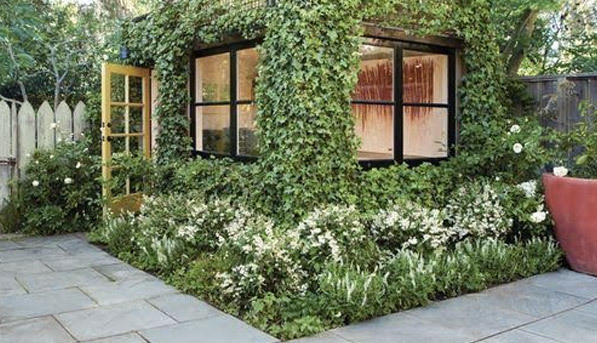 With giant windows letting in the natural light and the whole she shed covered with beautiful ivy, this space is guaranteed to make you more relaxed and in tune with nature. This would be the perfect she shed for a yoga studio, art studio, or even just a quiet place to nap.